Letting in more natural light into your home can be a good way to save on energy. Instead of flicking on a light switch during the daytime hours, simply open up your window and let the sun pour into your den, living room or dining room. Sunlight can also improve your mood. The interaction of sunbeams with your skin produces Vitamin D that increases levels of dopamine and serotonin in your brain, which quells depression and boosts your mood. Believe it or not, a new window installation can also give your house additional room. There are certain windows that are constructed outward from your house’s exterior walls, which creates more space for you to use. Bay windows are great for providing a space big enough for you to recline in, to enjoy the sun or read a book. You can choose between the straight angled look of a bay window or the rounded shape of a bow window. Your existing windows may also be sticking you with costs that you don’t even know about. For example, if your window is not properly sealed against the wall, it could be letting in cold air that is forcing your heater to work overtime. Window breaches can also allow cold air from your air conditioner to escape, making it harder to cool down your house. 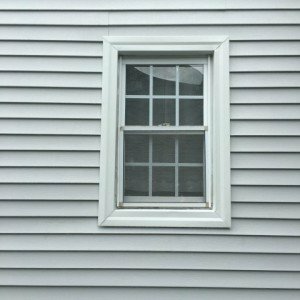 While it is possible to seal up many breaches with caulk or weatherstripping, some windows may be so old that a new window installation is necessary. The various options new windows present offer greater atheistic value for your home as well as important benefits to your health and your pocketbook. Don’t hesitate to ask a qualified window contractor about how your house can be improved with the installation of new windows.